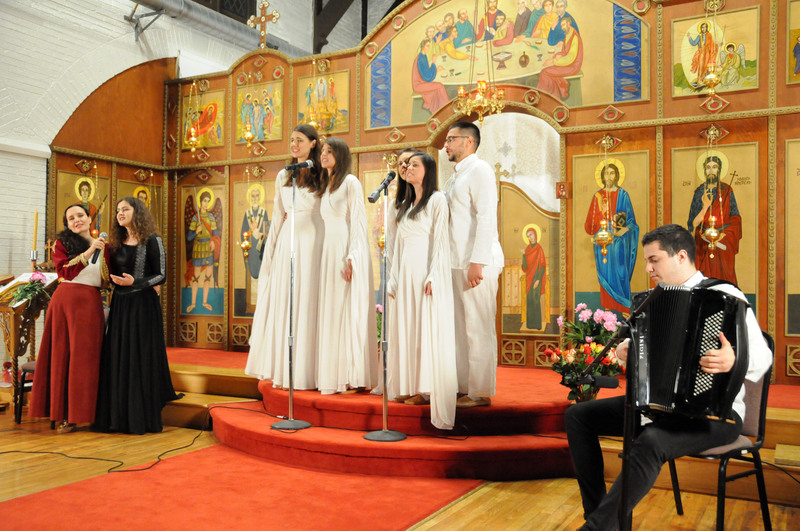 During the tour in the Midwest, "Kosovo Peonies" (Kosovski Bozuri), the musical ethnic ensemble from Serbia, performed ten concerts at Serbian Orthodox churches in Chicago and other cities in the state of Illinois and Indiana, including the city of Indianapolis. Alongside the members of the "Kosovo Peonies", led by an actress Ivana Žigon, concerts include Bojana Peković, gusle, and Predrag Radisavljević, accordion. At the concerts they perform and recite songs inspired by Kosovo and Metohija. The attendance at the concerts was extremely good and the audience's reactions were very emotional. On behalf of the Consulate General, the Actong Consul General Dejan Radulovic attended the first concert held at St. Stephen of Decani Church in Chicago. During their stay in Chicago, members of the musical ensemble "Kosovo Peonies" also visited Consulate General. Photo gallery can be viewed here.